I’ve been out of commission for a few days with some kind of bug. I’m still feeling a bit wobbly, but I didn’t want to let today pass without a mention of H.A. Wilson, Rice’s first professor of physics. 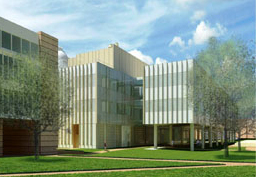 They’re dedicating the new home of the physics department, Brockman Hall, today. I think it’s safe to say that if Wilson were here to see it, he’d be absolutely giddy with excitement. President Lovett recruited Wilson from a career in teaching and research at Cambridge and London Universities and McGill in Canada. I believe he was actually the first member of the Rice faculty to show up in Houston. When he arrived, only two buildings were finished. But it was the promise of the third that held his interest–it was going to be a physics laboratory. When Lovett started thinking about the research facilities that the new institution would need, he gathered a committee of some of the best American experimentalists to advise him, but it was Wilson who had by far the strongest hand in the design of his own lab. H.A. 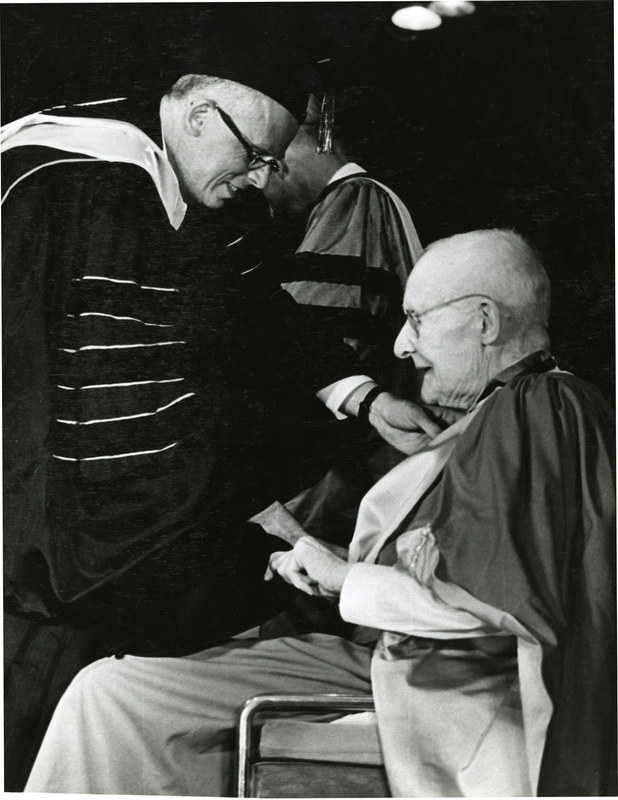 Wilson was the first scholar to receive Rice's Medal of Honor from President Pitzer at the Semi-centennial celebration in 1962. And from the opening of the building in 1914, Wilson produced a steady stream of both first rate scholarship and excellent graduate students, including Maurice Ewing and Tom Bonner. He was also one of the organizers and the first president of the Houston Philosophical Society as well as a popular public lecturer. 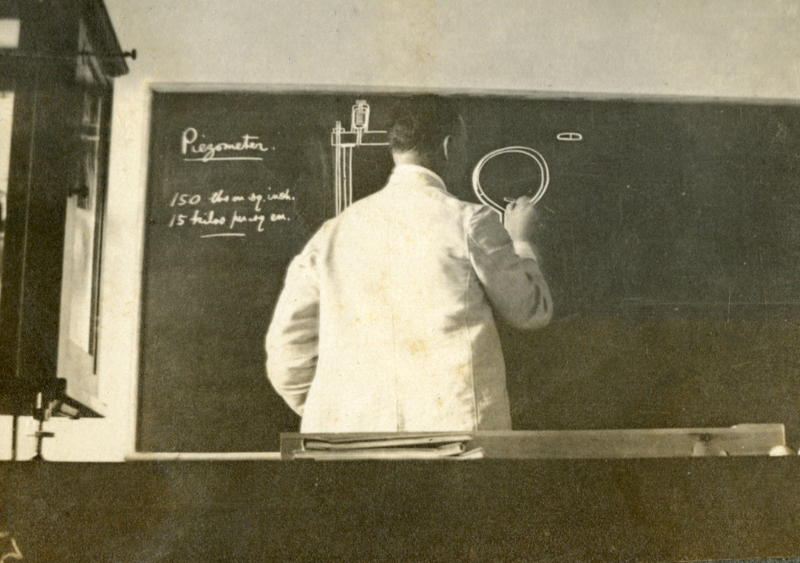 The success of the early physics department under his leadership established Rice’s international reputation as an important seat of scientific learning and is the best early example of how Lovett’s vision for the Institute as a community of scholars could actually work. Trying to find the link to the picture of my father Tom W Bonner in the recent Sallyport (2011 issue 9 , p9) – which I think maybe part of the early Van de Graff particle accelerator with the chief machinist of the physics department leaning over it, I came across your article on HA Wilson who was my father’s thesis advisor and inspired his career in physics. As the youngest of the Bonner kids, I remember Dr Wilson only after his stroke and retirement – but we visited him and his wife Marjorie frequently in their home. It was great glee that he would greet us and take us to his study where he has a game of skittles ( a spinning top game in which pins are knocked over with specific point values) – it was physics in action and my first physics lesson. He and Marjorie Wilson also had a terrific collection of mechanical wind-up toys. Of perhaps more value to Rice as an institution. Marjorie Wilson (based on many stories of my mother Jara Bonner) organized many parties for the young faculty and graduate students. – At one of these my father first met my mother who was visiting from Prague to help her sister Vera Scott (wife of Chemistry Associate Prof Arthur Scott). Faculty social life across disciplines was the norm at Rice in those years through my childhood in the 1950’s. “the head of the Physics Department at Rice was also a nuclear physicist, and the one who had built the accelerator. 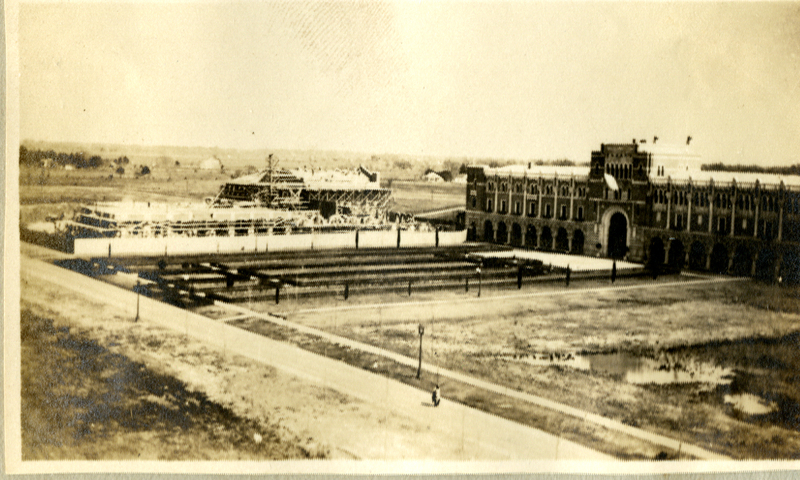 He was an Englishman named H. A. Wilson, who had been trained at the Cavendish and then had come to Rice—I think in the original faculty in 1916, when Rice was founded. He was an old man when I knew him. But he and [Robert] Millikan had worked on the same problem of measuring the charge on the electron. Wilson did it—or he tried to do it and succeeded in getting a value—by using a cloud chamber, where you introduce a cloud of little droplets. Wilson’s idea was to watch them fall and then apply a horizontal electric field and see them change directions as they fell. The droplets would move sideways when they acquired a charge. It was the same idea that Millikan used, but Millikan had refined it by using a single drop rather than a cloud of drops that one sees in a cloud chamber. Ten years ago I wrote an article for the Rice Historical Society on Wilson called “The English School of Physics-How Harold Wilson Became the First Professor of Physics at Rice Institute.” It was published in The Cornerstone, Fall 2002 Vol.7, No.3. Much of the information for that article came from the O.W. Richardson Collection at the University of Texas . O.W. Richardson was a fellow graduate student at the Cavendish Laboratory in Cambridge and married Wilson’s sister Lillian. From 1906-1913 Richardson was the professor of physics at Princeton and became good friends with Edgar O. Lovett there. Richardson went on to win the 1923 Nobel Prize in Physics. Harold Wilson’s mother lived with the Richardsons and kept all of the letters from her son as did Lillian who kept all of the letters from her brother. These letters are part of the O.W. Richardson Collection at the University of Texas and span from Wislson’s days at the Cavendish, through his appointments at King’s College London, McGill University, Montreal and the Rice Institute. The letters from the Rice peiod provide a very interesting look at the life in Houston at that time and at the Rice Institute in particular. Thanks so much for this. I didn’t know about it and I’ll make a point of arranging to see these materials the next time I’m in Austin. Again, thanks–this is very helpful. I have quite a lot of material on Harold Wilson. Not only from the Richardson collection but also from the Rutherford Archives. Copies of both these archives on microfilm are in the Niels Bohr Library at The American Institute of Physics in College Park Maryland but I also have other material from McGill University and a few other places. I’ll be glad to share copies with you.